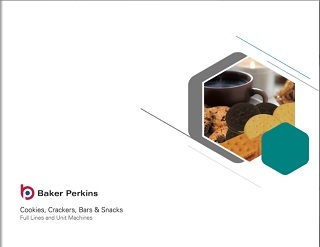 A range of units is available to put the finishing touches to, or add value, to biscuits, crackers, cookies and bar products. 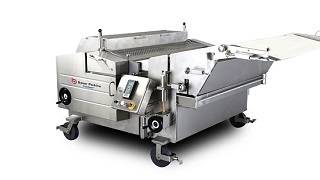 This versatile machine deposits jams and jellies onto biscuits and cookies. It uses a manifold to apply the topping, with accurate control of weight and position. 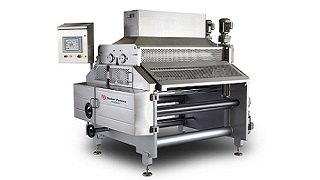 The machine is placed before the oven and synchronized with the forming machine, typically a wirecut. 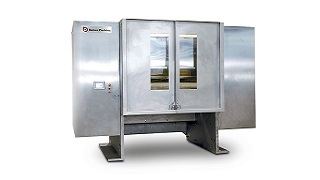 This unit applies egg solution, milk, or similar liquids onto the surface of the unbaked biscuit or cookie dough face. When baked it gives the product a characteristic sheen, improving the appearance. The liquid is applied after the dough has passed through a rotary moulder or rotary cutter. 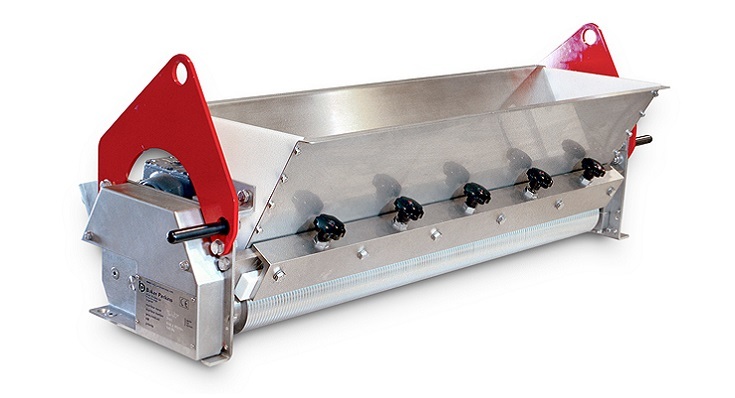 This unit sprinkles an evenly distributed layer onto the product passing below on a swivel panning conveyor. The distribution and volume of the coating is controlled by an adjustable gate. Excess material can be collected, sieved and recycled. 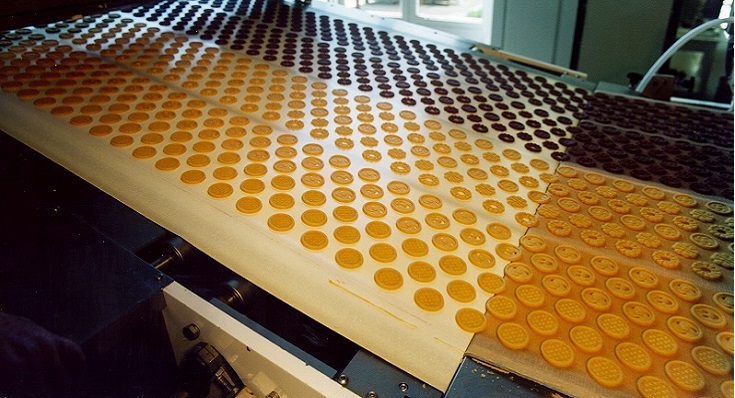 This transfers biscuits from the forming machine to the oven band, passing under the salt / sugar sprinkler. 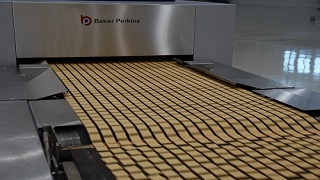 The panning conveyor overlaps the oven band. If the oven band ‘wanders’, the conveyor will track it, maximising oven band use by accurate product placement. 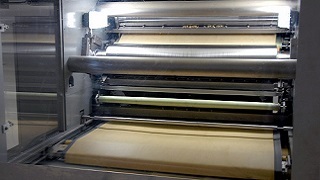 No salt or sugar topping is carried onto the oven band to create cleaning problems. The double eccentric guillotine is positioned after a bar former to cut the continuous strip of product into bar lengths. It is usually used in conjunction with a TruClean™ Wirecut. The mechanism provides a two stage precise cutting action. 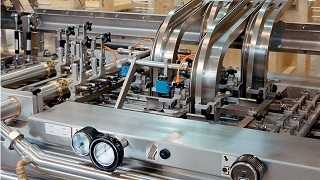 Rapid blade movement during the cutting phase reduces product distortion and sticking. Product length is easily and quickly adjusted between bite size and full size bars. The guillotine handles a wide range of products, and large inclusions such as dry fruit, nuts and grains. It gives a clean cut through tough and difficult materials. A blade heater and blade scraper are available to clean the blade when working with more challenging products. 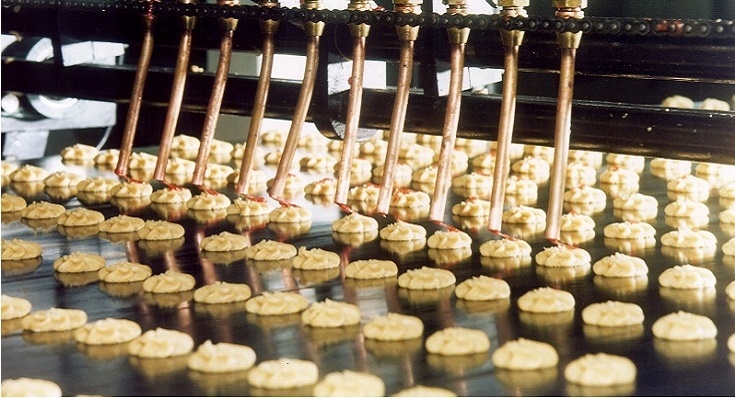 This helps reduce maintenance costs by ensuring long intervals between cleaning.